12" Silk Jesters wearing exotic batiks and silk. The pattern is the same as the 12" Jester, just a different photo on the front featuring exotic silk batiks. 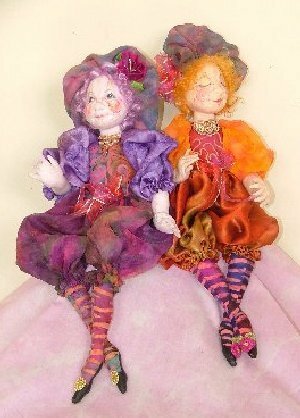 12" Silk Jesters wearing exotic batiks and silk.